Renaming popular and successful products is a fraught business. Everyone’s heard of famous fails like the ‘New Coke’ debacle, or the switch from the much-loved ‘Royal Mail’ in the UK to the breathtakingly bland ‘Consignia’ – a rebrand that became a re-re-brand when they quickly reverted to ‘Royal Mail’. Even Australia’s proudest savoury spread – Vegemite – had its own brush with disaster when in 2009 they tried to rebrand under the satirically suggested name “iSnack 2.0”. At 3T we’ve been developing tools for MongoDB professionals for three years now. That might not seem very long but MongoDB has only been around since 2007, and boy has it grown. Its popularity continues to grow at an astonishing pace. Our first edition of the MongoChef GUI was originally called 3T Data Manager and in 2014 we changed the name to MongoChef. Since then, more than 100,000 users have got on board and got more work done, faster and more securely, using our graphical workspace. We’re constantly updating it, with new features every fortnight over the last twelve months, and our original GUI has grown up substantially. It’s on a roadmap now to becoming a full-fledged IDE (integrated development environment), with a steadily increasing set of features and functions, including the data comparison and synchronisation tools that we originally offered as separate tools. In 2015 we added security authentication with LDAP and Kerberos to our Enterprise edition. See here for a full feature list. If you’re using MongoDB for rapid prototyping of an application, or in non-production, non-commercial staging and test environments, then security might not be a huge issue. But MongoDB is now a mature and dependable platform. It’s deployed in production environments by organisations small, medium and humongous, across all industries. Security is no longer a ‘nice-to-have’, it’s an acknowledged ‘must-have’. Implementing all the on-board security features and even just setting user authentications is a whole lot easier and more intuitive to do in an easy-to-use graphical environment. 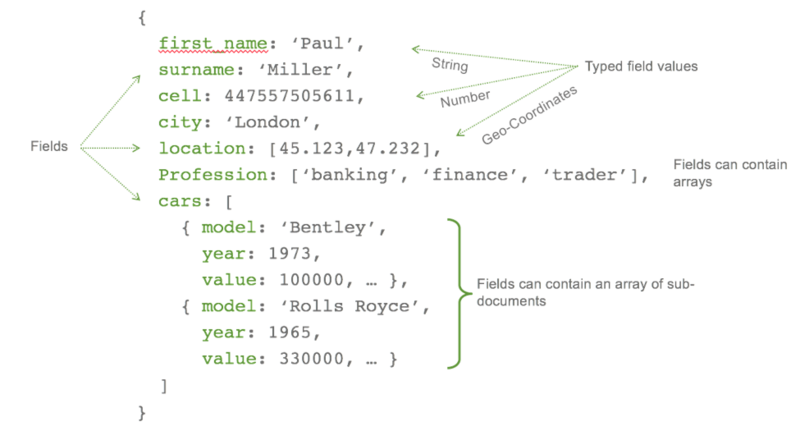 What started out as a quick and easy way to work more enjoyably than with the raw MongoDB shell, has over three years become a much more sophisticated beast. We’ve decided the time is right to adopt a name that gets closer to the experience of working inside this IDE. More and more of our customers are running whole teams that work predominantly with MongoDB and more than a few of them have made the comparison with Microsoft’s SQL Server Management Studio (SSMS) that they’re well accustomed to working inside. Studio 3T is ideal for teams needing to standardise their working practices to improve consistency and accuracy. Whether Studio 3T is best described as an IDE or a management studio, a client, a GUI or a workspace, is a subject probably of interest only to the self-declared pedants and fusspots inside 3T. But the fact that there are over 100,000 MongoDB professionals using Studio 3T on a regular basis tells us that it’s doing a job that really does need doing: it makes dull and fiddly jobs easy and quick to tick off your list; it makes complex jobs like building aggregation queries a joy to accomplish; it makes securely protecting your MongoDB estate immensely satisfying. Studio 3T frees up a load more hours in the day for developers and data professionals, data analysts and BI specialists alike, so they can get on with doing the stuff that they should be focusing their skills on. Studio 3T is always being improved. It’s graduated from being a GUI. We think it’s well on its way to becoming an IDE, so that’s what we’re calling it from now on. 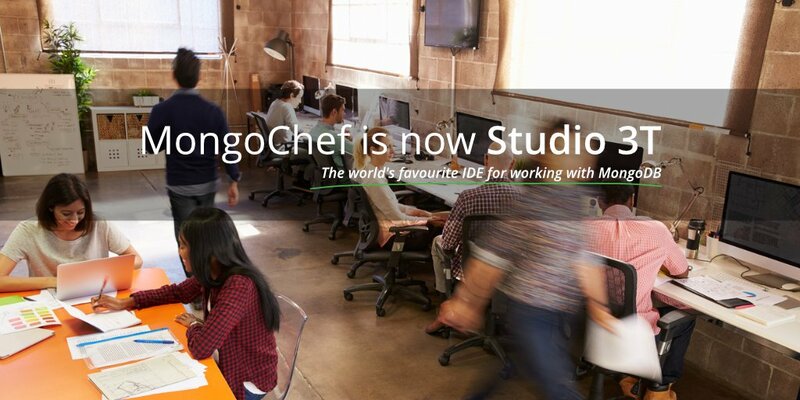 Studio 3T for MongoDB is the most widely used NoSQL IDE in the world. It’s a place where we can all get more done. New to Studio 3T? Head over to our Knowledge Base and get up to speed.